No doubt, the two old floppy disks has gained a new life from a flash memory. Don’t you believe? Let’s go on checking the floppy disk styled USB flash drive. The unique USB drive is made by Charles Mangin. It’s a little pity we don’t much more info about the great maker. As we can see from the images, Charles utilized two 3.5-inch floppy disks to build the unique flash drive. 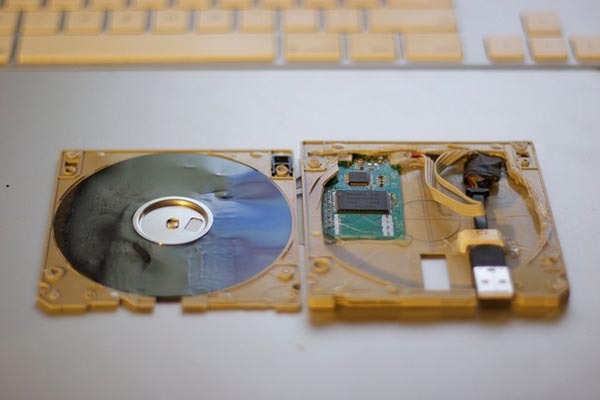 One of the two disk was removed in order to accommodate the flash memory and USB port. Besides, a red LED light was also integrated into the write-protect notch. 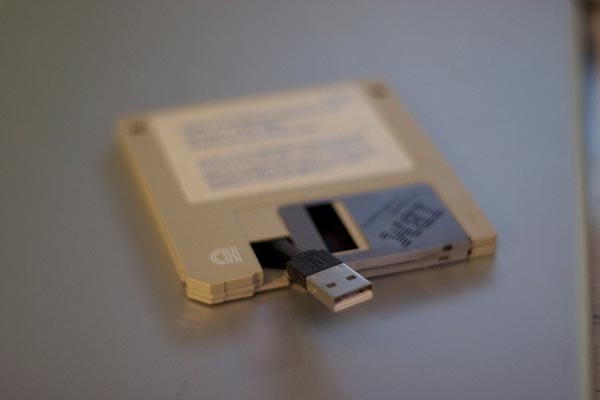 Unfortunately, the floppy disk USB flash drive is only an unavailable personal work. If you also want to own a floppy disk USB drive, jump to Charles Flickr gallery for the detailed steps. 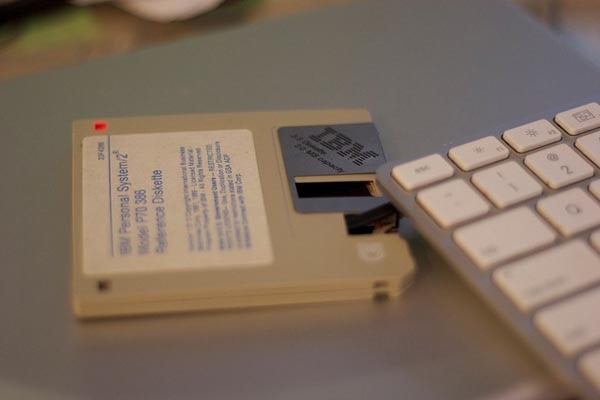 If you like the floppy disk themed gadgets, you may like to check the floppy disk notebook, floppy disk coaster, and more via “floppy disk” tag.